Have Faith Ministries, Inc. was founded in 1999 in answer to Gods calling. This School of Theology, Theological Seminary, Bible School, Religious College and University, was conceived of the Holy Spirit and became a division of HFM in 2005. Our School has virtual,Online class rooms and on-line classes from our headquarters in Belleville, IL. We are not a degree / diploma mill. 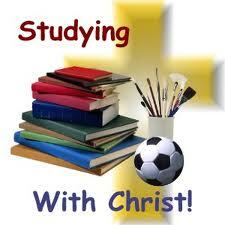 At Have Faith Ministries School of Theology we are able to issue Degrees of a Religious nature. Our earned degree programs for both college level certificates and degrees are now available. As a Religious School all titles are non-secular yet carry the same rights as an academic title in the usage of honorifics. Currently our School of Theology issues both degrees for life's experiences and for earned study courses. LE credits are not converted to a grade scale. The purpose of Have Faith Ministries School of Theology (Seminary) is to help develop the skills needed by members of the clergy in sharing their faith in a concise manner. But, these same courses will help in coming closer to advancement within their faith also. No School or University that offers courses and studies of religious philosophy can really claim to be more correct than any other School of religion since they are established by man, and not by God. What does this mean to you? A Doctorate Degree bestowed by Harvard University to a person within a specific field allows that person to be addressed as Doctor. A Doctorate Degree issued by Have Faith Ministries School of Theology and Seminary also allows its recipient to be addressed as Doctor. They hold the same rights of acknowledgment. Understanding that an earned degree does in many instances help the student achieve a better understanding within their field of study. But, an honorary degree simply accepts that through life?s experiences this student of life is deserving of the same acknowledgment. Our Programs are designed for those seeking professional recognition, certification, ministerial practitioners and teachers. The purpose of the school is to help its students unlock their minds, to find the keys to success through the teaching of God's Word and to recognize the value of the human God First experience. Your earned degree from Have Faith Ministries School of Theology (Seminary or Bible School) will be awarded according to our academic requirements and issued by our Executive Board of Education. Each State has requirements to be Licensed as a "Professional Counselor", etc. however Churches, Ministries and some Non-Profit organizations are EXEMPT* as long as the terminology and employer is correct. You can not hold yourself out to be a "Licensed Professional" unless you meet the requirements of your State. (Check with your home State). In the State of Illinois if you work for one of the above entities, you are EXEMPT from license in the State of Illinois. Our Enrollment Fee which was $150.00 is now on sale for $50.00.. This "one time fee" is due before you can start your course work. This is the same regardless if your work is done online, on campus, Skype or any combination of these. Please contact our registrar's office for additional information at 1-800-505-8051 ext. 400. 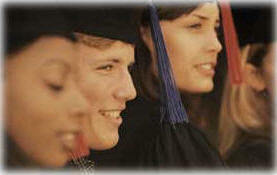 We offer a degree for a combination of coursework and credit for prior learning. Mature adults, through life experiences and informal study, have often accumulated a great deal of knowledge. Unfortunately this type of learning is not always recognized by our Worldview because it is not obtained in a formal classroom setting. Examples of life experiences which we accept as legitimate learning activities are on-the-job learning, non-credit post secondary programs, significant volunteerism in social work, executive leadership, and other experiences that may equate to academic study programs, as well as general knowledge gained through life experiences. We request that all of our Doctoral candidates send a brief one page resume along with their application so that we can review their past accomplishments, However LE credits are not available for this level..
We also require that all students complete a short course of study relative to some of the degrees for which they are applying if their LE portfolio has been approved. Most of our students are able to complete all studies within a few months, although they are allowed up to one year to finish any course work. A total of 120 credit hours are required for graduation. This may be a combination of Campus, Skype or Online classes. Non traditional style transcripts are available, upon request, for an additional "donation". However if you do not complete the coursework to earn the required 120 credit hours or other credit hours that have not been stated here. In addition, if your program coursework has been waived then you may not have a traditional transcript, if any at all. The title of the book. Write a ten to fifteen page paper. Summarize briefly what each chapter is about. This may require a minimum of one page per chapter plus a couple of paragraphs or more. Study enables us to gain new information and insights. Write out five to ten new truths you have learned. How might this book benefit you in your life or ministry? Do your best in reading and presentation. Do this work for you and for God. This is for you and the ministry God has called you to in His kingdom. Check for spelling, typos and use good grammar. Military service personal from any Allied National armed forces branch will receive a minimum of three credit hours for Honorable service. A copy of your DD-214 or an equivalent form if you are applying from a Country that is an active member of The North Atlantic Treaty Organization or NATO. Credit for life work and ministry will be evaluated. You may have years of part time or full time experience in Christian service that would have credit value. You will be asked to submit a short bibliography/resume for evaluation. These credits may be applied to each degree through the master's level. Life experience credit is not available at the doctorate level. Note: A maximum percentile is computed and determined by our Board that will be applicable toward your required credits that can be obtained through Life/Work/Ministry Experience. (This percentile is between (0 - 75%). A traditional transcript may not be issued for LE. If you have accrued credits from any other College, Seminary or other institutions of higher learning then please mail, fax or email the certificate and transcript to us for evaluation/conversion. This process is reviewed by the Dean, Faculty and Board of Directors. Please provide phone numbers for each to verify your credentials. Depending upon the nature of prior classes, our review board will determine if they are applicable to transfer. 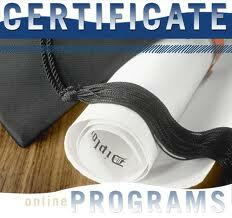 The Diploma is a great program for the beginning student. This program is recommended for anyone who does not have any prior college or Bible school training. The program consists of three courses or 15 hours of study. You may order the textbooks from Amazon or your favorite book dealer. Read one text book at a time, in any order. As you complete the reading of each textbook, write a 10 to 15 page paper describing what you read and learned in the book. The suggested way of doing this is simply writing 1 to 3 pages on each chapter you read and at least 1 to 3 paragraphs about what you got out of the book and how it can help you in the ministry or as a Christian. We are simply asking you for a summary of the material you have read. (In your own words please). Once you have written the paper then submit it to your Instructor. Please include your name student number, the date and title of the textbook you are submitting on the cover sheet of the paper. Also include your address, phone number and email on the cover sheet. If you choose to mail the paper to us, please include a self addressed, stamped envelope, so we may return your grade and paper. Cost of Course is a $ 75.00 donation. It does not include the text books as they are sold separately and you can get them from your local book store or on-line. 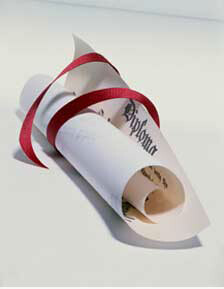 Certificates are not degrees or diplomas. They are a "Certification" that a course in a specialized area of study has been completed by the bearer named on the Certificate. This Certificate Program gives the newly ordained minister, newly appointed Pastor, or just someone trying to refresh on the biblical teachings of helping those in need. (You MUST be Ordained by a legal entity. You must provided proof of your ordination which can be verified). If you have NOT been Ordained we will consider your ordination. Generally the Pastoral Counselor takes a person to the Bible to allow the Bible to answer questions about problems they may be having. Therefore, the Pastoral Counselor is not considered, by many States of the U.S.A., by any title that is used by the State for License-sure as a clinical, professional or licensed counselor, nor can they hold themselves out as a professional; . (Separation of Church and State). A professional counselor would have received their professional counseling degree in an academic institution that the State recognizes. Even though "Pastoral" Counseling is part of many churches and ministries you need to understand that you should not accept an offering for that part of your work. Is is acceptable however for a legitimate Church or Ministry to accept a donation for your services. The Pastoral Counselor may be compensated by the Church or Ministry. Accepting a payment for this service would make it appear that you are acting as professional (licensed) counselor and this may end you up in trouble with the a U.S. State or Federal authorities. (Check your State Department of Professional Registration & Regulation regarding License requirements and Exemptions). This program does not teach you to dispense advice but teaches you areas where the Bible shows people how to deal with their problems and it is not to be confused with Psychology or Psychiatry. We cannot emphasize enough that you should not tell a person what to do about their problems but rather lead them to the Bible and show them where the Bible addresses their issues. The "Pastoral Counselor Certificate" is meant to keep you within the religious confines of this responsibility. It is therefore a prerequisite that you are currently an Ordained Minister or that you become ordained prior to graduation. Cost of Course is $ 199.00 which is a donation (secular term is tuition). This does not include the text books as they are sold separately and you can get from your local book store or Amazon. The four books are listed below. Please pay your donation for this course in our web store. Cost of Course $349.00 does not include the text books as they are sold separately and you can get from your local book store. Cost of Course $449.00 does not include the text books as they are sold separately and you can get from your local book store. Welcome to Pastoral Counseling Theories and Application, a Doctorate Level course in the curriculum for the Degree, Doctorate in Pastoral Counseling. I'm pleased to offer you this course. This is an exciting course. This course covers the foundations, theories and practices of counseling. The presentation is well balanced and does not emphasize any particular orientation. Basic research is combined with practical applications. Cost of Course $549.00 does not include the text books as they are sold separately and you can get from your local book store. The Associates of Biblical Studies is a great extension of the Diploma of Biblical Studies for the student. This program is recommended for anyone who wants a deeper understanding of the Word of God and who may be considering full time ministry. The program consists of three courses or 15 hours of study. Order the textbooks from Amazon or your favorite book dealer. Read one text book at a time in any order. As you complete the reading of each textbook write a 10 to 15 page paper describing what you read and learned in the book. The suggested way of doing this is simply writing 1 to 3 pages on each chapter you read and at least 1 to 3 paragraphs about what you got out of the book and how it can help you in the ministry or as a Christian. We are simply asking you for a summary of the material. Once you have written the paper then submit it to your Instructor. Please include your name and title of the textbook you are submitting on the cover sheet of the paper. Please include your address, phone number and email on the cover sheet. You may mail the paper to us but please include a self addressed stamped envelope so we may return your grade and paper. The Bachelors of Biblical Studies prepares the student for full time ministry by giving them an in depth look at the Word of God. This program is recommended for anyone who is in or going into full time ministry or a teacher in the local church. The Master of theology is a great program for Pastors or those wanting to become a Pastor. The purpose of this degree is to acquaint the student with a broad perspective of Christian theology. DOCTOR OF DIVINITY (D.D. or D.Div. The Honorary Doctor of Divinity Degree is as valid and valuable as any doctorate degree issued by any religious organization. The only book for instruction will be the KJV of the Holy Bible. This item requires you be ordained. *( NOTE: If you are NOT ordained or you do NOT provide evidence that you are ordained, we will thank you for your donation but you will not receive this degree). *By continuing on knowing of this information you are agreeing to forfit the diploma and donation without a refund of any kind). HFM Board of Directors reserves the right to allow or deny, without reason, the approval of this item. (This donation may not include shipping and handling outside the continental United States).